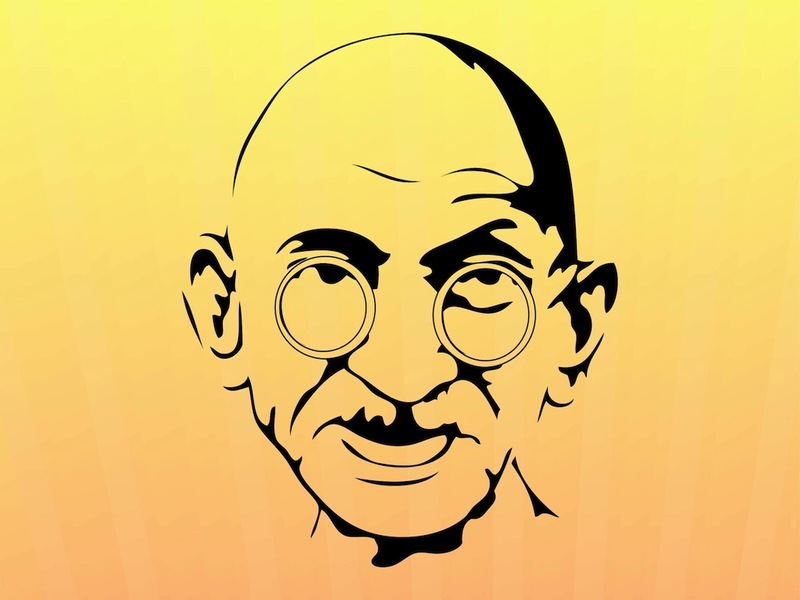 Vector portrait of Mahatma Gandhi. Calm face of the Indian leader and inspirational historical figure. Round glasses, shadows around the eyes, chin and forehead. Free vector illustration for all history, world leaders, famous people and spiritual guidance projects. Download vector portrait for posters and decals. Tags: Famous Person, Glasses, India, Indian, Leader, Mahatma Gandhi, Portrait.